As Dereca Blackmon from Stanford University has said, “Diversity is a fact, inclusion is a practice, equity is a goal.” Across the country, states and communities are using farm to school to address the racial and social inequities in the food system. Read more here. As network members use the Strategic Priorities to guide and support their work on farm to school in their communities, we ask that they consider how that work can advance social and racial equity and inclusion. The network will work to ensure that the leadership, priorities, and membership is reflective of the diversity of students, teachers, nutrition staff, farmers, and partners across the state. Below are a few questions guiding this work. 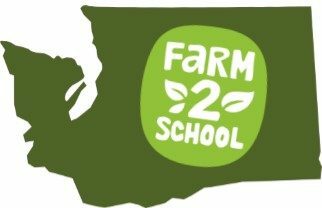 What are the existing disparities in access to farm to school, and how can we work to solve them? How can collaboration include farmers of color, farmworkers, veterans, or disadvantaged farmers, and support their work as members of the network? How can the network work to increase access to farm to school and locally grown foods in cafeterias at underserved districts, schools, and ECE providers? How can the network and its members support underserved communities and communities of color to have better access to school gardens, sustainable models, and funding? How can the network ensure that educational materials are inclusive and representative of all communities across Washington? How do youth, students and families participate as network members? If you are interested in supporting the network’s work on equity through the Network Action Teams or other activities, please email waf2snetwork@gmail.com.